In October 2006, I decided to make an informative website of independent, unbiased information for the English speaking community about property in Spain. I wanted to provide information before, during and after the sale of property abroad. With results way above my initial expectations, I have now found it necessary to form a team of experts to help my readers. I am delighted to welcome Katrina Bradley our newly appointed Marketing Director to the Independent Spanish Property guide web site. Katrina has lived in Spain for almost 30 years. She has successfully worked in travel and tourism for over twenty years and often been head hunted by some of the biggest known hotel chains in Europe to devise and promote various marketing strategies travelling and staying in popular tourist areas withing Spain and the United Kingdom. She has also enjoyed a highly successful career in real estate for almost ten years. It is Katrina's wealth of experience, and the fact that almost every one knows her and turns to her if they need help in any type of communication problem with Spanish, that makes her an invaluable asset to our team. I have known Katrina for eighteen years and have worked with her in the past. I most certainly am looking forward to working with her again. It is with great pleasure that I welcome María Teresa Vargas Baliñas, ('Pampi' as she likes to be known), to the team at the Independent Spanish Property guide website. Pampi is founder and managing Director to a multilingual translations office on the Costa del Sol. Pampi is a Spanish sworn translator with more than thirty years experience in the field, recommended by the British Consulate and is the sole translator for the Gibraltar Health Authority. She is also a journalist. Pampi will be helping our clients with legal, financial, construction, real estate, business and marketing translations, as well as medical and technical/IT jobs. Pampi has an impressive curriculum, having worked for multilateral and international entities, including the United Nations. 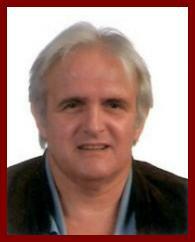 I very proudly welcome Bill Peterkin, newly appointed Property finder to the Independent Spanish Property guide web site. Bill is Director of the Federation of British Estate Agents, the professional body that caters solely for British Estate Agents operating on the Spanish mainland and Islands. He was my number one choice as Property finder not just because of his rivalled position in the real estate industry, but because of the many contacts he has. The Federation actively encourages the highest standards in real estate practice, so I completely confide in Bills choice when recommending agents or searching for a property for my readers. Bill also runs his own real estate office on the Costa del Sol. Introducing John O' Reilly, our property consultant. John was born in London U.K. and is married with two children. He has a career background in Sales and Marketing with over 23 years experience in the Airline Industry. John moved to Spain in 2002 and started his own property business specialising in Sales and Long Term Rentals on the Costa de Sol and Inland Andalucia. Now in it's 6 th year his property business applies a dedicated professional approach to Real Estate and the company prides itself in providing free and unbiased advice to clients and delivering a first class service in every aspect of real estate transactions. John can assist individual and investor clients looking to purchase both new and resale property for holidays, permanent relocation or investment opportunities which include, below market value property, bank repossessions, land and commercial projects. Introducing Carmen Rivera, our new rental agent. Born in Sevilla, Andalusia but taken to the UK when she was six, Carmen has lived most of her life in the UK but came 'home' to Spain 6 years ago with English husband and daughter. She initially worked for a firm of solicitors for the first year where she gained experience in the property market, conveyancing procedures and the Spanish administration system. She opened her own agency after that first year. Not only specialising in rentals, but helps new-comers to Spain with a solutions services, aiding with the paperwork, essential NIE number and the set up of Telephone (inc. mobiles), electric and water supplies. I am pleased to introduce another valued member of our team. Illeana Perez head of our administration department. Her mother is British and father Spanish, therefore she speaks both English and Spanish fluently. She was educated in Spanish schools and finalized her degree at Malaga university. She is also a fantastic mother to her four year old son Nicolas and three year old twins Danny and Elisha. I am more than happy to have her on my team. Unfortunately Miguel passed away very unexpectedly on 20th January 2010. He will be dearly missed by all of us. May he rest in peace.